Dimension in Spirituality is a presentation of the path to spirituality offered by the youngest but most promising of the world’s great religions, the Bahá’í Faith. J.A. McLean offers the reader personal reflections and analysis of the writings of the Bahá’í Faith, combined with insights gleaned from spiritual psychology, philosophical theology and the world’s religions in order to map out dimensions in spirituality. 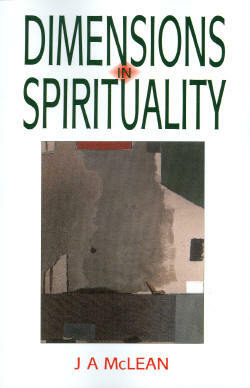 The author offers to the contemporary seeker insights into the search for truth, the meaning of prophetic faith and belief, prayer and meditation, finding meaning in adversity, the meaning of spirituality and transformation, the place of divine and human love in spiritual life, and the dynamics of spiritual growth.